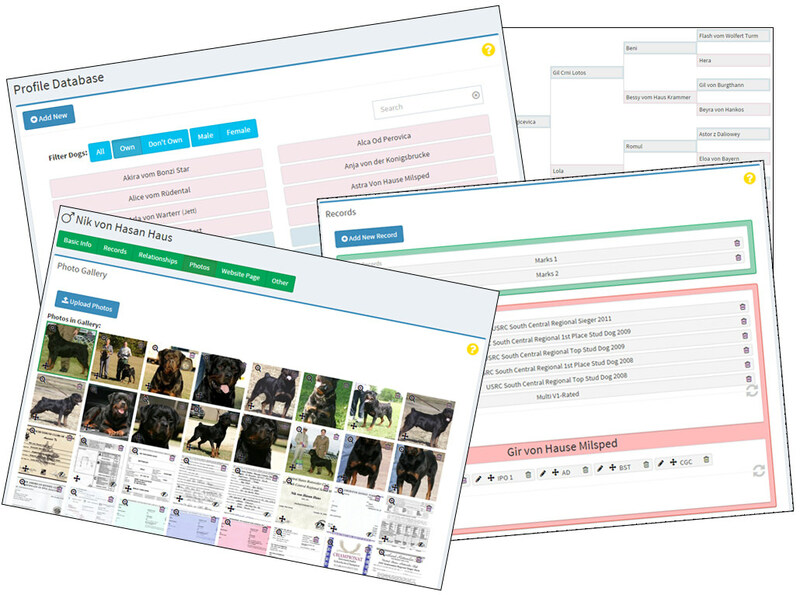 Your database will store not just your animals, but will also store pedigree animals and others that have been involved in your breeding program. They are all together in a single, easy to manage database. Easily pair two animals in your database together for a breeding announcement. When the offspring are born, simply add them to the database to include them in the announcement. You don’t have to worry about creating their pedigree, it was automatically inherited from their parents. 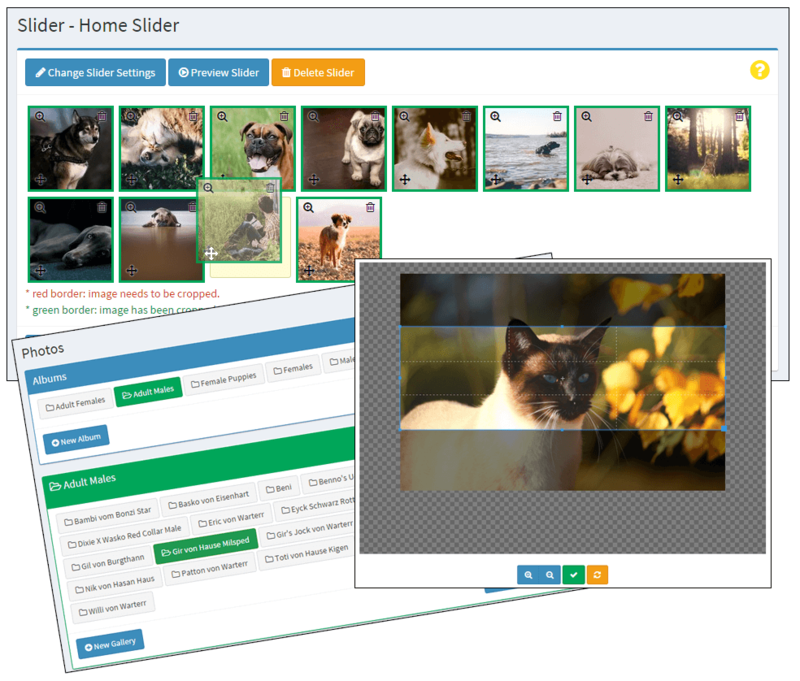 Drag and drop image ordering, automatic animal profile galleries, image sliders, YouTube video embeds… Media management is made easy. Are you picky when selecting potential owners for your animal? 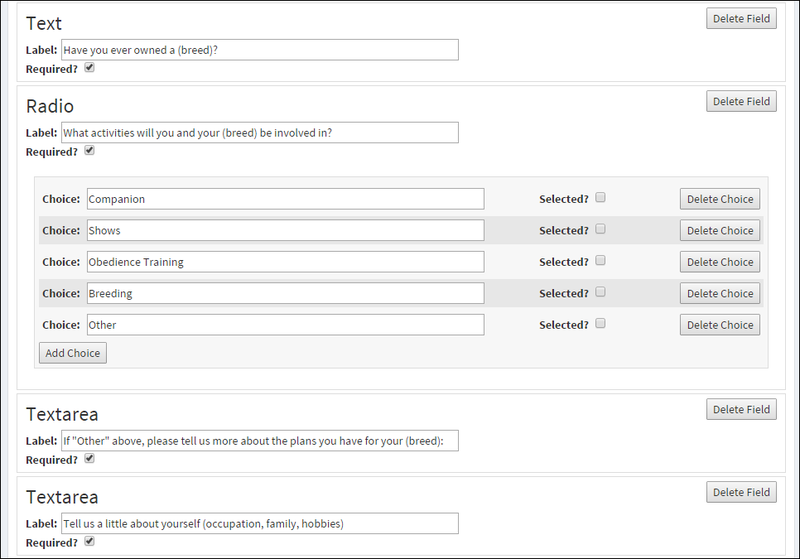 The built in form builder helps you create anything from simple contact forms to detailed, 50 question long, client screening questionnaires. When a visitor submits a form on your website, they are automatically saved to your Contacts Database. Need to follow up with a contact at a later date? Use the contact reminders and notes feature to keep track of your customer follow up tasks. Customize your website to fit you and your business with your own logo, colors, and background images. Do you need a non-English language website? No problem! Translation options are available for nearly all text visible to your site visitors. Desktop, tablet, or phone? It’s all good. Your website will look great on any size device. Even the pedigrees!